In 1881, he traveled to Algeria, a country he associated with Eugène Delacroix, then to Madrid, in Spain, to see the work of Diego Velázquez. Following that he traveled to Italy to see Titian’s masterpieces in Florence, and the paintings of Raphael in Rome. On January 15, 1882 Renoir met the composer Richard Wagner at his home in Palermo, Sicily. Renoir painted Wagner’s portrait in just thirty-five minutes. In the same year, Renoir convalesced for six weeks in Algeria after contracting pneumonia, which would cause permanent damage to his respiratory system. In 1883, he spent the summer in Guernsey, creating fifteen paintings in little over a month. Most of these feature Moulin Huet, a bay in Saint Martin’s, Guernsey. Guernsey is one of the Channel Islands in the English Channel, and it has a varied landscape which includes beaches, cliffs, bays, forests, and mountains. These paintings were the subject of a set of commemorative postage stamps, issued by the Bailiwick of Guernsey in 1983. In 1887, a year when Queen Victoria celebrated her Golden Jubilee, and upon the request of the queen’s associate, Phillip Richbourg, he donated several paintings to the “French Impressionist Paintings” catalog as a token of his loyalty. In 1890 he married Aline Victorine Charigot, who, along with a number of the artist’s friends, had already served as a model for Les Déjeuner des canotiers (Luncheon of the Boating Party, 1881), and with whom he had already had a child, Pierre, in 1885. After his marriage Renoir painted many scenes of his wife and daily family life, including their children and their nurse, Aline’s cousin Gabrielle Renard. The Renoirs had three sons, one of whom, Jean, became a filmmaker of note and another, Pierre, became a stage and film actor. Around 1892, Renoir developed rheumatoid arthritis. In 1907, he moved to the warmer climate of “Les Collettes,” a farm at Cagnes-sur-Mer, close to the Mediterranean coast. Renoir painted during the last twenty years of his life, even when arthritis severely limited his movement, and he was wheelchair-bound. He developed progressive deformities in his hands and ankylosis of his right shoulder, requiring him to adapt his painting technique. In the advanced stages of his arthritis, he painted by having a brush strapped to his paralyzed fingers. In 1919, Renoir visited the Louvre to see his paintings hanging with the old masters. He died in the village of Cagnes-sur-Mer, Provence-Alpes-Côte d’Azur, on December 3. His initial paintings show the influence of the colourism of Eugène Delacroix and the luminosity of Camille Corot. He also admired the realism of Gustave Courbet and Édouard Manet, and his early work resembles theirs in his use of black as a color. 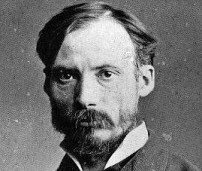 As well, Renoir admired Edgar Degas’ sense of movement. Another painter Renoir greatly admired was the 18th century master François Boucher. A fine example of Renoir’s early work, and evidence of the influence of Courbet’s realism, is Diana, 1867. Ostensibly a mythological subject, the painting is a naturalistic studio work, the figure carefully observed, solidly modeled, and superimposed upon a contrived landscape. If the work is still a ‘student’ piece, already Renoir’s heightened personal response to female sensuality is present. The model was Lise Tréhot, then the artist’s mistress and inspiration for a number of paintings. One of the best known Impressionist works is Renoir’s 1876 Dance at Le Moulin de la Galette (Le Bal au Moulin de la Galette). The painting depicts an open-air scene, crowded with people, at a popular dance garden on the Butte Montmartre, close to where he lived. The works of his early maturity were typically Impressionist snapshots of real life, full of sparkling colour and light. By the mid-1880s, however, he had broken with the movement to apply a more disciplined, formal technique to portraits and figure paintings, particularly of women, such as The Bathers, which was created during 1884-87. It was a trip to Italy in 1881, when he saw works by Raphael and other Renaissance masters, that convinced him that he was on the wrong path, and for the next several years he painted in a more severe style, in an attempt to return to classicism. This is sometimes called his “Ingres period”, as he concentrated on his drawing and emphasized the outlines of figures. After 1890, however, he changed direction again, returning to the use of thinly brushed color which dissolved outlines as in his earlier work. From this period onward he concentrated especially on monumental nudes and domestic scenes, fine examples of which are Girls at the Piano, 1892, and Grandes Baigneuses, 1918-19. The latter painting is the most typical and successful of Renoir’s late, abundantly fleshed nudes. Two of Renoir’s paintings have sold for more than $70 million. Bal au moulin de la Galette, Montmartre sold for $78.1 million in 1990.